TopCall has expanded with an office in Malaga. Here are some experiences that attract super sharp girls who have just become students and want a sabbatical year or two. An important competitive parameter for TopCall in recruitment isa good mood. The values are about being welcoming, helpful and conscious about the quality. 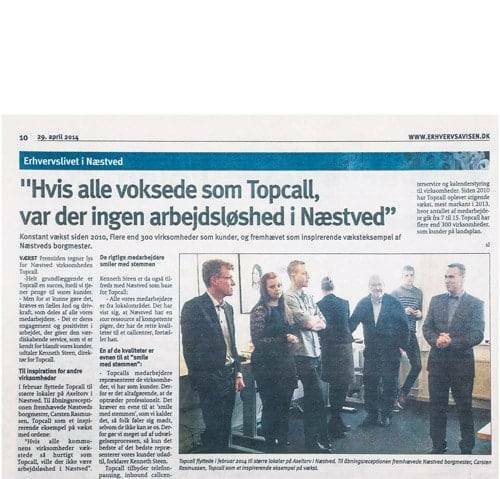 The future is bright for the Næstved company TopCall. 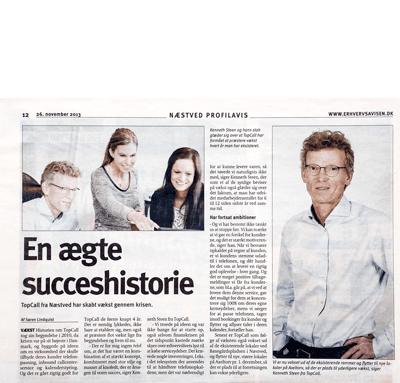 Constant growth since 2010, more than 300 companies as customers, and highlighted as an inspiring growth example by Næstved mayor. 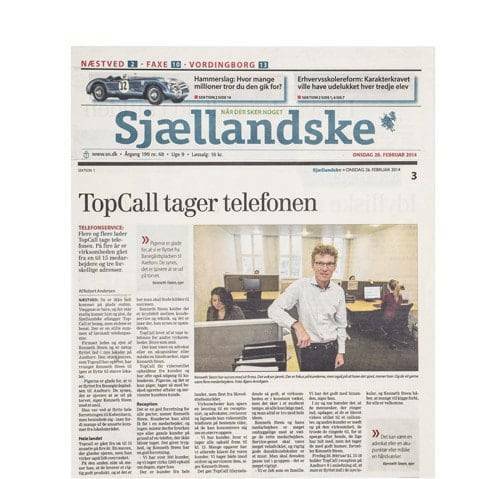 TopCall lives off answering the phone for other companies. Big as small. It’s a good business for all parties, says Kenneth Steen. Customers can always reach an employee and no-one will lose new or old customers from a phone that is being answered. How do you improve the direct communication with customers, so the service gets better? And what about the phone setup: Can it get better so that customer communication becomes sharper? These are some of the things Kenneth Steen hopes a professional “pilot” can help with. 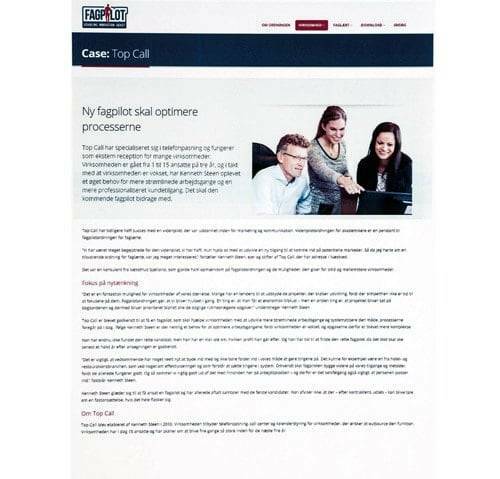 TopCall has previously been successful with a “knowledge pilot” who was trained in marketing and communication. 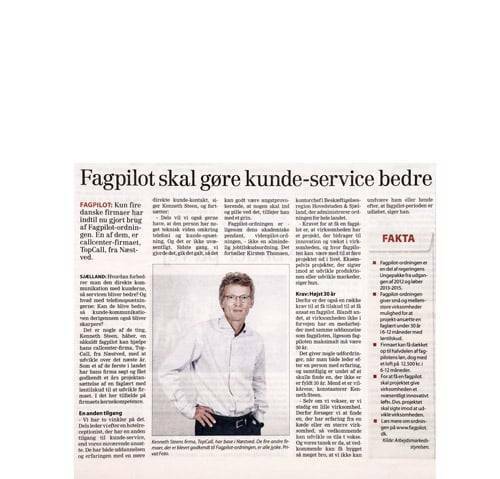 “We have been very excited with the “knowledge pilot” we have had. She helped us develop a new approach to entering potential markets, says CEO Kenneth Steen. 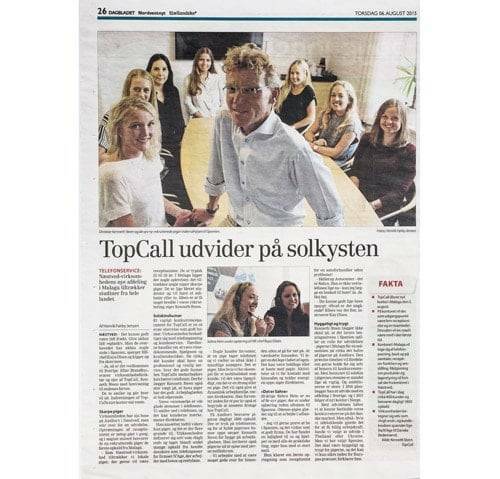 It’s all smiles and warm voices that receives you in TopCall’s offices in Næstved. Here’s a good atmosphere, and it’s clear to see that the employees are doing well with each other. 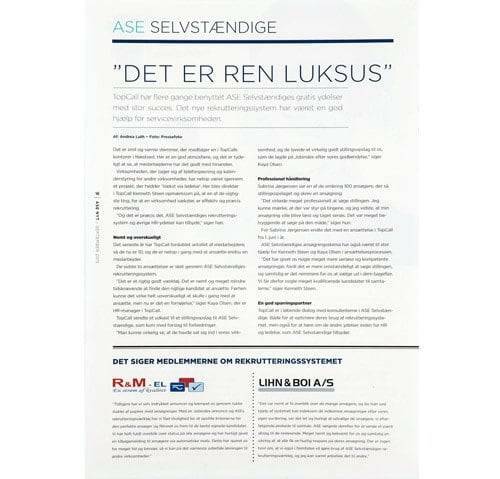 The company that deals with answeringservice and calendar management for other companies has just been through a project called ‘Growth through management’ at ASE SEVSTÆNDIGE.